"We try to do a good job for all of our clients. But rather than take our word for it, read what our Buyer Clients say about us. Maybe you will recognize someone you know." "We are more than pleased with everybody who helped us through this process. They were all very committed to us!" "Mike was a pleasure to work with when buying our home. His knowledge of construction and real estate coupled with his professionalism and calm demeanor were just what we needed to have a perfect successful experience. We highly recommend Mike!" " We are extremely pleased with the service we were provided. Mike provided a level of customer service that was out of this world. If we ever decide to move, Real Choice Real Estate will be our first call." "We were very pleased w/our home buying experience. We appreciated the expertise and the team making our home purchase fun. Thank You!" "My Experience with Real Choice was good. I just want to say thanks for all your help. I'm so happy with my new home." "Mike walked us through every step of buying our first home. He helped ease our anxiety & find the home we were looking for." "Mike could not have been more helpful. Not only did he help us get a house, but he set a great example of how to serve your clients." "Mike did such a great job helping us find a home that was perfect for us and getting us into the home. He was very thorough and felt like family by the end of it all. He was always available and responsive to our questions in a very timely manner & made everything go smoothly." "I feel extremely grateful to have had Mike Stum as our agent. As first time home-buyers, we weren't sure what to expect but Mike walked us through every step of the process. What sets Mike apart from otheragents is his construction background. I knew we had won the agent lottery when at the first house Mike showed us, he pulled out a flashlight in the basement to check for water and termite issues, pulled out a ground tester to see if an outlet was grounded, opened the circuit breaker to check if we had room to add more circuits, showed us how to tell if the radon system was functional (it wasn't), and explained to us about the construction of the deck. If you want an agent who won't just show you a home but who can help you understand if the home is well constructed before you even get to the home inspection, Mike is the agent for you. He caught things, even our home inspector had missed. Mike is a no pressure agent. He explained to me his job is just to show us the house, our job is to determine if the house is right for our family. He won't try to push you into something, because he genuinely wants his clients to love their new home. Mike is exceptionally prompt at returning phone calls and staying on top of the other agent if you don't receive a timely response. He helped us to negotiate additional money for repairs after the seller had initially refused. We had questions about our property line and Mike made multiple calls to the title company to try to get us the needed information. He even pulled past deeds in search of what we needed to know. Mike is an agent who will go far above and beyond to ensure his clients have all the information they need to make an informed purchase. I truly can't recommend Mike highly enough! I wouldn't have wanted to go through this process without his expertise and exceptional level of ethics and character. He is a quality agent and I'm hard pressed to find even one complaint. This is the agent you want on your side when buying a home." "This was my first time purchasing a home so naturally I was nervous. But Mike was committed to making the process smooth and headache free. He worked hard, even during off hours to make my home buying experience wonderful! Thank you for everything Mike." "Mike was a pleasure to work with. Very prompt with everything involving our transaction and would refer Real Choice to anyone in search of real estate." "I cannot say how much I appreciate Mike Stum. He went above and beyond for me. I felt many times that I was wasting his time, though he came through thick & thin." "We had a wonderful experience buying our first home. Mike was excellent in explaining the process & very thorough when inspecting the home. We couldn't have had a better experience!" 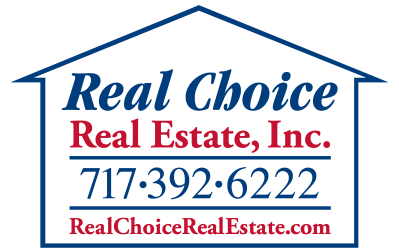 "Mike Stum and Real Choice Real Estate did an outstanding, considerate and compassionate job helping us to locate the perfect first home for us and our family. Thanks! "Mike Stum went above and beyond on helping us get into our home. He was honest and knowledgeable and found us homes we wanted within our price range." "Mike was a true professional in handling our transaction. We never felt rushed or awkward asking questions about the process. He was prompt in his response times via phone or text and his knowledge regarding most areas of home construction was extremely helpful. I will definitely refer him to friends or family looking to buy a home." "We were very pleased with the service provided by Mike Stum when we purchased our new home. He was very knowledgeable and we felt he was looking out for our best interests." "We were extremely satisfied with our home buying experience! We enjoyed working with Mike to purchase our very first home. Mike was very knowledgeable, personable and responsive. He provided us with the guidance we needed as first time home owners and we really appreciated it. Thanks Mike!" "Mike Stum far exceeded our expectations in buying our first home. He was extremely knowledgeable and helpful in selecting our home. Real Choice Real Estate was always prompt to answer our emails & phone calls." our next home. Would highly recommend!" larger beautiful home for many years to come!" meant a lot. Thank you Mike." "Mike did an excellent job providingme with everything I needed and looked out for me." "Mike was extremely professional throughout the entire process. This was our first home and Mike helped us in every step by answering all of our questions (even the stupid ones) without any judgment. I would definitely use him again and I will be recommending him to everyone I know. Keep it up!" "Candi did an excellent job in finding our perfect home! We were very picky, and candi was always willing to meet our needs." "Mike, Just wanted to say thank you again for all of your help with selling in Mount Joy and buying in York. Once again we felt that the time and all the attention you gave to both transactions was more than we could ever repay." "As I was living overseas and house hunting, my situation was unique. Mr. Stum handled the situation with great ease making the whole process very easy and smooth. I would definitely recommend him and his company to anyone buying or selling their property." "Mike goes above & beyond to assist clients and get the best deal. I do think he works around the clock since he seemed to always be available! Mike kept me calm during the stress." "Mike was so great to work with. From the beginning, he never put any pressure on us and he always took time to answer our questions, no matter how silly they were. I loved that he took a flashlight and tried to find things wrong with a house. We weren't suprised at the home inspection because he was so thorough. Through the whole process, we were well informed and respected. In 10 years time, when we plan to upgrade, we will call Mike again. He works hard and is honest. You would be hard pressed to find a better realtor in the area." "We could not be happier with Mike at Real Choice. He took the time to explain everything thoroughly and was always available to answer questions, etc. I feel like he was really looking out for us through the entire transaction. He was professional, punctual and helpful. I would recommend Real Choice without hesitation and will use them again if and when the need arises." "Mike Stum was very professional with contacting me when needed. I'm glad I had the experience to work with Mike on finding my 1st house." "Mike Stum makes buying a house easy because he knows what to look for. He goes the extra yard." "Mike always offered an objective viewpoint on each house I toured, thereby helping me with my decision without making me feel pressured. I found him to be knowledgeable about all aspects of realty that surpassed just the legalities of buying and selling properties. I absolutely recommend Real Choice Real Estate and Mike Stum to anybody looking to buy or sell a home." "It was a real pleasurable experience working with you Mike. Tina & I have had a lot of adventures in our 18 years together, not all good, so it's easy to lose your trust in people and in the business world where it's every person for themselves. You have restored our faith that there are still people who are kind and willing to help others. Thank you so much for your patience and knowledge, you sure know what you're looking at when you see it. We are very much pleased with our purchase and will probably be here forever, and since we now live close to you, you're welcome anytime. So for first time homebuyers, you took very good care of us, and we can't thank you enough." "Mike was very nice. He explained any questions to us that we might have had. He went through our new home and made sure everything looked good." "Very Pleased with the transaction from beginning to end. Mike did the thinking for me and guided me every step of the way." "It was very helpful as a first time homebuyer to have someone explain everything in detail." "From day one, Mike was extraordinarily helpful as our agent. His experience gave us confidence in our decision making which is essential as first time home Buyers"
"As always Mike, you fit our situation to markets availability. Excellent knowledge of your industry and a keen eye allows for effortless buying for us." "The total experience that we went through was very positive, educational, and draining at times. I would have given up if you didn't keep finding opportunities to get this done." "Exceeded expectations - pricing home condition costs, etc. Would use again and recommend to others." "Mike was very honest with us. He didn't get our hopes up and he didn't try to sell us houses we couldn't afford or houses that were a bad deal. He was not pushy. We loved that! Great dealing with you." "Our experience with Real Choice was great. Mike stayed patient with us for over 2 years in our process of buying a house. This is our first home but it seemed to us that at certain points, Mike went above and beyond his duties." "Fantastic Experience. Mike never tried to "sell" me on any one property, rather he guided my decisions while teaching me what to look for in a house. As he said, "always start in the basement"! Thanks Mike for everything!" dedication and time he spent with me." "Mike Stum gave us the warm fuzzies. This made me feel very safe and confident whenever Mike was giving me information in reference to my purchase. I would highly recommend him to all future clients." "We were extremely fortunate in having Real Choice as our real estate agent. Mike was available at all times and answered all of our questions with patience and professionalism. We met briefly with another agent and it was a huge mistake. Real Choice Real Estate & Mike Stum Every time!" "As a first time home buyer, Mike took that extra time to explain the process of buying a home and helped me out tremendously." "As first time homebuyers we had a bad experience with a realtor before being referred to Mike. He turned our outlook around on the home buying process instantly. His dedication, trustworthiness, determination, along with always being on top of things will cause us to use Mike for all our real estate transactions." " The simple way of describing our experience with Mike Stum is to say that he went well above and beyond" to help us find and settle into our new house, in every way. The type of purchase, and also the type of mortgage we were using, required a lot of extra work in order to get to the settlement table in time - Mike was always available to make the process as smooth as possible. From the first walk-through, the fact that Mike was able to find and communicate potential problems with the house and its mechanicals helped us feel comfortable with the home-buying process. Throughout the mortgage approval and seller's agreement process, Mike made several trips from Lancaster City to Elizabethtown, sometimes three or more times a week, to let contractors who would be involved with the project into the house; made calls to townships and appraisers clearing up problems with permits and other issues; and was available to answer questions at all hours of the day and night. We will continue to use Mike Stum and Real Choice Real Estate for future real estate transactions, and talk about him with everyone we meet who is in the real estate market." "My first home buying experience could not have been better. Mike is truly the best agent that Lancaster County has to offer. His expertise and knowledge are truly one-of-a-kind." "Mike was very patient and understanding during our home search. His "no pressure" informative way showing of homes was exactly what we were looking for in an agent. Would and will recommend to anyone looking to sell or buy. Thanks Mike!" "Mike Stum is down-to-earth & very professional. He is always available for questions & concerns. He is thorough & is able to tell you the pros & cons about the properties he shows. I recommend him highly to friends & relatives. Mike you rule!" "Working with Mike & Kelly was a pleasure. Very professional; and helpful. Mike understood what I was looking for and was helpful with pointing out the good and bad aspects of a home, which helped my decision to come easier and to find a great home." "We were very satisfied. Real Choice Real estate has handled the transaction with repeat professionalism and patience. Outstanding!" "We were very satisfied. Mike took the time to thoroughly explain certain features of each home that we were looking for, was very flexible with his scheduling, showed us multiple homes that fit our description." "As first time homebuyers, we immediately felt at ease with Mike. His background in construction and real estate experience gave us the upper hand. He would point out abnormalities and potential problems in houses during walk-throughs -- things that we wouldn't have noticed ourselves. This made it clear that he had our best interest at heart and wasn't just trying to sell us just any house. When we did find our dream home, he walked us through the buying process each step of the way. Mike and his assistant Kelly were always quick to answer any questions or concerns we had throughout the entire process. Whether this is your first or tenth home, we highly recommend Mike. We would definitely work with Mike again if we ever decide to sell!" "We appreciated the open, honest and professional relationship we had with you over our home buying experience. Couldn't have asked for things to go any better!" "We were extremely satisfied with the service Real Choice provided. Mike took the time to listen carefully to what we were looking for and gave us all the time we needed to understand the process of buying a home. We selected Real Choice because of their friendly and helpful attitude on the phone, even before we met them in person. buying a home a truly enjoyable experience." "You guys were so helpful and knowledgeable in helping us buy our first home. Every call and question was answered quickly and accurately." "I was extremely pleased with how hard Real Choice worked with/for me to make sure everything was smooth and to get me into the right home." "Mike and Kelly did a fantastic job helping us buy our first home! As first time homebuyers we had little to no knowledge on what we were getting ourselves into. Mike was able to show us the positives and negatives of each home we looked at and never tried to force us into his opinion of the property. He is not just knowledgeable as a Real Estate Agent, but he holds a wealth of knowledge about construction of homes. Kelly kept us well informed of what needed to happen and when. We are looking forward to working with Mike and Kelly again when we move onto our second home!" "Mr. Mike Stum: Thank you very much, you are very good in your work to help me and Lisa in finding our home. It was very satisfying. Thank you very much." "As a first-time homebuyer I really appreciated the time & attention provided by Mike & Kelly! Wonderful experience. Thanks so much!" "We love working with Mike & Kelly! You helped us buy our first home as well as our second. As soon as we start flipping houses, you will be our only "Choice"." "I'm completely satisfied with the way they handled my recent real estate transaction." "Buyers rep handled with due diligence, thoroughness and professionally. Am very comfortable being represented by Real Choice." "The staff of Real Choice Real Estate were extremely helpful in settling our first home. Both Mike and Kelly made the process smooth and seamless as possible by checking in with us periodically and asking if we had any questions. Mike helped us understand the process by explaining all the answers to any questions we asked. Mike worked right up to and well after the closing date assuring that all numbers were correct and accurate. Real Choice Real Estate gives 110% to their clients needs and will always be our first choice when buying or selling a home." "I / We enjoyed the excellence we have come to expect from Mike Stum & Co. in the recent purchase of our home in Marietta, PA."
"We were extremely satisfied with the service received. Not only did we find the home we were looking for, but we learned all about the process. Mike was very educational & easy to get along with. Kelly was always keeping us informed. They are a great team. I would definitely refer anyone I know to Mike. They made it seem easy when truly it's not. Thanks very much." "If you want the personal touch and someone who will listen to your needs when buying a house, Mike Stum from Real Choice Real Estate is the one to see. Mike and his staff are professional, thorough, and work with you to find the house that is right for you. This is the largest investment I will probably ever make necessitating careful consideration of all aspects of buying a home from location to financing. Mike took me through the process step by step and worked to protect me from potential problems. In the end, everything fell into place. I am extremely happy with my new house and the work that Mike and Kelly did to help make this happen." "You were very efficient, organized, helpful, and patient!! Thank you for all your hard work." "As a first time home buyer I felt very comfortable working with Mike and Kelly. Every need I had was met, and I wouldn't think of doing business with anyone but them in the future." "Mike was honest and helpful. He never acted like a salesman. I felt he did not push any decision on us." "Mike caught a problem that needed addressed, Mike gave advice on DIY Projects. I enjoyed working with Mike and Kelly. It seemed that Mike really looked out for me as the Buyer. I would use Real Choice again." "We were very impressed with the way our transaction was handled, our agent was very helpful, as was our broker. The conclusion was very smooth." "The purchase was made simple and that's what makes buying property such a great experience. Mike and Kelly were both very helpful." "Being first time buyers, we really didn't know how the whole process worked. When all was said and done we walked away feeling confident we got a really good deal on our first home, all thanks to Mike & Real Choice Real Estate." "Mike is the total professional. He kept me well informed every step of the way. Thank you for all your help!" "Exceptional service representing me the Buyer. Very thorough, considerate and professional." "Mike really goes the extra mile for you. You would be hard put to find a better agent than Mike. He is excellent to work with. Thanks so much." "We really loved working with Mike & Kelly. This was our first home buying experience and they made it painless and enjoyable. I would recommend them to anyone who needed an agent and we will definitely use them again." "We were grateful for Mike's extensive knowledge in real estate for purchasing our first home. If we would not have used Mike as our realtor, right now we would be living in a home that we would be extremely unhappy with. In our search for a realtor, we discovered that Mike's personable personality & honesty made our first home buying experience more comfortable. Thank you so much! We will be calling you again!" "Mike's patience and thoroughness removed any anxiety that we had. His extreme knowledge of many types of homes was invaluable. Real Choice is unsurpassed." "Mikes professionalism yet relaxed manner made the process of searching for a home a pleasure. He continually went above and beyond. Mike's character is beyond reproach and without hesitation we would recommend him. Additionally to no surprise, Mike's choice in a receptionist, Kelly, reflects his commitment to providing quality services. Kelly always exhibited much patience, friendliness, and a willingness to assist." "We were very impressed with the professionalism in handing the entire transaction. Would certainly recommend your firm to family and friends." "We had a very rewarding experience with buying our "first home"! Mike was very helpful & knowledgeable in the whole process! Kelly was very organized to make the moving process go smoothly. If we would ever need a realtor again, we would choose "Real Choice Real Estate" - No question about it! We will gladly recommend your business to people we know that would be looking for a "Great Company" to work with them. Thank you both very much for helping us purchase a home we very much enjoy!!! Good luck & may your company prosper from "Your Excellent Service"! "Mike, I feel that you and Kelly did a great job, thanks for sticking with me through the whole deal." "I would recommend Real Choice Real Estate to anyone looking to buy a home. Mike was always available to answer questions. He made the home buying process more enjoyable and stress-free than we thought was possible." "As first time homebuyers we didn't know one thing about buying a home. Mike was with us every step of the way even through the obstacles we faced. He was there at the home inspection, meetings with the mortgage company and every time we needed to ask a question. He made purchasing our first home as easy as he could for us. Even his assistant Kelly was there for the little things we would not have thought to ask or do. We will always come back to you when we sell or buy and will recommend you to everyone! Thank you so very much! "We wish we knew many, many people in the area to send to you. Mike, we are so very thankful that we met such a professional agent as you. Thanks again for all the time and help you have and still give us when we have questions. Everyone should be so lucky to have you for their broker!!" "Mike: I continue to enjoy working w/ you on a property. Either buying or selling, you really know your business & do it well! "Almost perfect"." "Finding a home with Mike was a very relaxing experience. No pressure, no pushing, just understanding and perseverance - a very unexpected enjoyable experience!" "Mike was great! He consistently went above and beyond the call of duty to ensure that my home-buying experience was a good one. His knowledge and expertise were invaluable to me and I am very pleased with my new home. Mike genuinely cares about doing his best for his clients." "As first time homebuyers, we were impressed with your work & thankful for your quality service. Thanks a lot !!! "We feel Mike did an excellent job in helping us find a very nice home w/us only having a very short time to find one." "We could not have had a better realtor than Mike Stum. He provides customer service that is second to none, and helped us through every step of the buying process. I would not hesitate to refer anyone to Mike and will certainly use him personally in the future. Mike Stum is excellent service before, during and after the sale." "Buying our first home was a pleasant experience because of Mike Stum. He exceeded every expectation that we had and followed up with us regularly to ensure everything was in line. He explained things in a way that we could understand and guided us in decision making. There should be more people in business like Mike Stum. He will always have our business and the business of our friends & family. Thank you Mike!!" "Everything Worked Out Great - Thanx for making all of my appointments - even if you could not stay. You were on top of everything. Very pleased. Keeping in touch once a week was also a good philosophy. Thanks again." "Your service went beyond what we expected from a real estate agent. We feel that you worked with us on a personal level rather than a business level. You kept us informed about every detail during the purchasing process. My wife and I cannot thank you enough for all of the work you've done for us." "You were very efficient with finding properties and with the paperwork. You were very patient as well. And very helpful and informative. We really appreciate all that you've done." "You were highly responsive, prompt, efficient and reliable. You were everything one hopes for in an agent - thanks." "We were extremely satisfied with how efficiently Mike handled the purchase of our townhome. Whenever we had a problem, he was easy to reach and within minutes had answers to our questions. He was always honest & straightforward and made our settlement as painless as possible." "Mike was very courteous and helpful. He went out of his way to help me and let me know what was going on along the way. I will recommend him to anyone I know in the future that is looking for an agent. Thanks Mike! You are a great person. "The transaction or sale of the house was done in a very friendly and professional way. We both felt very comfortable working with Michael Stum." "Personable, service oriented, informative and professional. We are totally satisfied with Mike Stum as our agent." "We are very-very pleased on what you did for us. We could not have asked for a better agent. Keep up the great work!" "Mike, you were more than we dreamed of. You are caring, patient and understanding. You are willing to go the extra mile for your clients. You are very straightforward and honest. You made buying a home a pleasure. We will recommend you to everyone." "We think you did a great job. We would recommend you every chance we get." "We always felt that we were #1. He always returned our calls, and made this whole "American Dream" thing a non-hassling experience! Thanks Mike!" "Mike went out of his way every time I needed to speak to him. It didn't matter what time of day it was." "No pressure, active in problem solving, fast solution finding, excellent ****." "Mike, Thank you for all the valuable time you spent with me in order to purchase my home by the end of the year. I shall always be thankful." "Mike, we found you to be personable, knowledgeable, efficient, professional and helpful without being pushy. I would not hesitate to recommend you or call you for help again. Thanks for everything." "Mike, I can't thank you enough for your hard work & professionalism. You were always there when I needed you. Thanks again." "I am very pleased with the entire process. From day one you worked to find a way for me to be a homeowner, Thank you." "I Shannon Lee Finefrock and family think Mike Stum should be recommended to anyone who wishes to purchase or sell their home. P.S. The greatest agent we had. Thank you." "Thanks so much for helping us buy our home. You made everything go very smoothly!" "You were very helpful in the process of buying our first home. We knew nothing & you helped and answered all our questions, & were there the whole time. Thank you very much!" "It was a delight having you help us with the purchase of our home. Keep up the good work." "Mike Stum made what I thought impossible a reality. His direction, patience and kindness are qualities I wish others had. Quite the gentleman at all times, never pushy, after finding what I was looking for and could afford Mike Stum stood by me, spoke for me, made appointments for me, went to every appointment with me, sat with me through settlement. Right to the end, Mike Stum was there. How did I find this person to help me find and purchase the most exciting thing in my life? I thank god (Jehovah) every day I wake. Thank you very much Mike Stum. Thank you." "I was very intimidated about buying a home for the first time. Mike Stum helped to make the experience seem incredibly simple and actually fun! Without being intrusive, Mike assisted me in determining a payment amount that would fit my budget and would not strap me financially. He was patient and understanding as I changed my mind constantly about what I did and did not want in a home. Mike was receptive to questions and helped educate me throughout the entire seven-month process, making sure I understood and felt satisfied with each decision I made. He really has a sincere interest in serving his clients. It's been a month since we've moved into our new home and the whole family feels we really made the right decision, a lot of which is to our realtor's credit. We would recommend Mike to anyone who wants to buy or sell his/her home. He is first rate!" "We found Mike to be an excellent realtor (Agent). He has been very reliable & always on top of every situation that came up. We will be recommending him to all our friends & family who would need a realtor (Agent)." "As a first time homebuyer I was extremely pleased with Mike Stum as my real estate agent. He was helpful in answering my questions and looked out for my best interest." "Mike Stum was excellent. I was very impressed with his honesty and integrity. I appreciated how much he went out of his way to be sure I got a sound home. I would highly recommend him." "Mike: It's evident that you're a hard worker. Also you came across to us as being honest. Those two qualities are key ingredients to a satisfied customer. Thanks again." "Mike was willing to meet with us at anytime of the day to ensure our needs were met. He was a great business man & he could not have done more for us. Thanks Mike!" "Mike did a great job for us and will get our referrals. Whenever I had a question Mike always returned calls promptly with accurate answers." "Mike Stum was a great asset to buying a home. He was honest, extremely dedicated, and worked to get us the best deal and the best offer. Mike was with us through all of the ups and downs of home buying. We will definitely use him again if we purchase or sell another home. I cannot tell you how many times I have recommended him to friends looking to purchase a home. Mike has even helped us with post - home buying issues, that is true dedication to his clients." "Extremely hard working, dedicated agent. Very knowledgeable, helpful & experienced. I really liked Mike's personable personality! All around great guy (Agent)." "Since this was the first time I bought a home, I felt you were very patient and informative. I did not feel rushed or that sale pressure others use. I believe you to be an honest & fair person." "As first-time homebuyers, we had a lot of questions. Mike was always there to help us... before, during, and even after the sale. We couldn't have done it without him!" "I was pleasantly surprised when Mike knocked on my door and asked if I had any interest in the parcel of land behind the property I recently purchased. I was interested and he provided all the information and assistance I needed to purchase the land in an efficient and timely manner. He was courteous and conversational. A truly nice person to talk to and to work with." "We just want to let you know that we are happy & satisfied with how you (Mike Stum) handled our real estate transaction. I guarantee you that we are going to recommend you to all our friends & relatives for buying or selling a property. Thank you so much." "Thanks Mike - I don't know what more you could have done for me. You didn't let me screw up. Your knowledge of home construction and the transaction was invaluable. I felt protected every step of the way; and I knew right away I could trust you. Thanks again. P.S. I owe you - Lombardo's sometime."